Powder pink fish cut gown with strap and cold shoulder sleeves. The top half of the gown is adorn with scallop embroidery with sequins, cut dana and tassel motif. 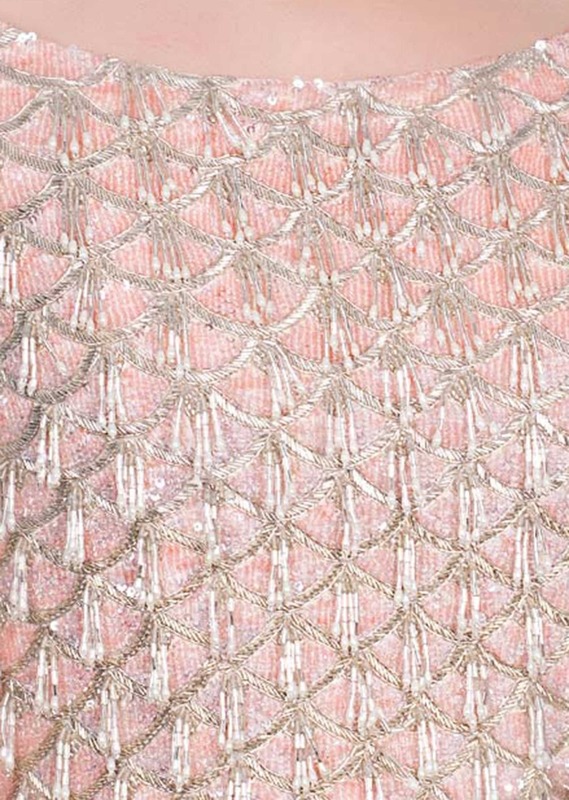 The lower half is featured in net with gathers and scattered sequins Slight variation in color is possible due to digital photography.